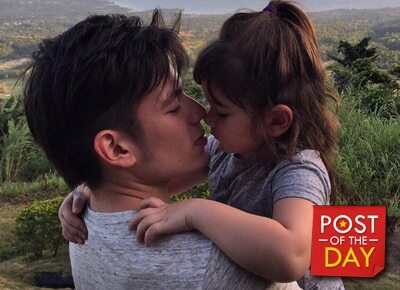 Jake Ejercito shared a photo of himself with his daughter Ellie and his dad, Manila Mayor Joseph “Erap” Estrada, on Instagram amidst his rumored custody battle with Ellie’s mother Andi Eigenmann. Jake’s father Erap had his birthday celebration at Manila Hotel. He turned 80 last April 19. It was earlier reported that Jake is planning to file a joint custody petition over Ellie. Andi recently posted cryptic messages on Twitter. Some followers guessed that it’s about their current issue, but some also guessed that it’s about her teleserye The Greatest Love.